When our girls asked me outright if Santa was real I thought it was the beginning of the end of the Christmas magic, but I was wrong. Working out that Santa was not a ‘real person’ did nothing to dampen my girl’s excitement about Christmas. Now they were a part of creating that excitement for their little brothers and if anything, it made Christmas even more magical. 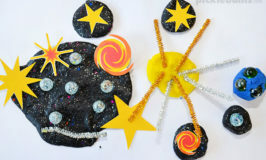 The girls have embraced the creation of Christmas magic to the extreme, and it’s been lovely to have their help and enthusiasm when I am flagging and even better to watch them carefully crafting magic and memories for their brothers. This week they helped me make a new ‘Letter to Santa’ printable and then they helped their smallest brother to write a letter to Santa. They patiently helped him spell tricky words, and reminded him to say thank you for last year’s presents. They concocted a magical story about how the letter would make it all the way to the North Pole and how Santa would manage to read all the many many letters he must get. 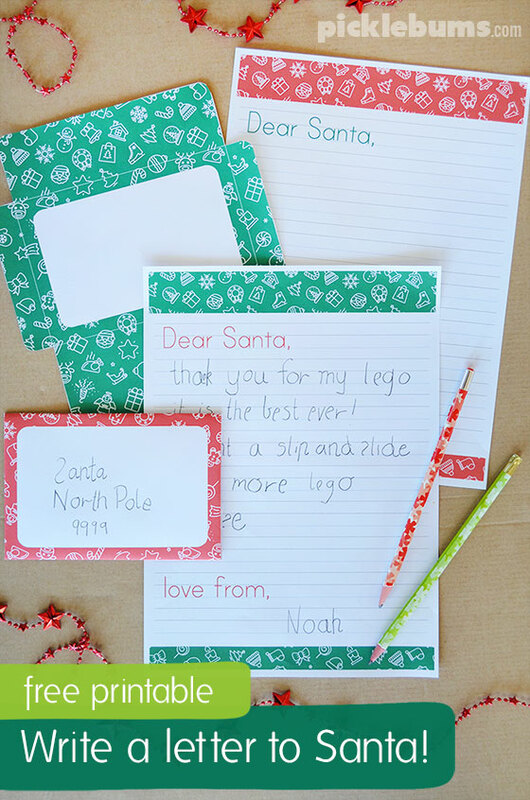 They even wrote their own letters to Santa so Noah would know it was ‘really real’. They worked happily together for half an hour, and if that is not Christmas magic, then I don’t know what is! 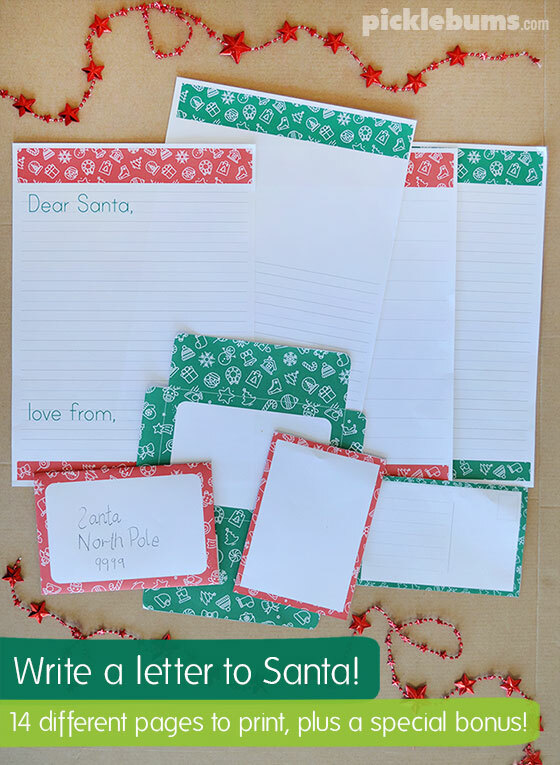 Our new free printable ‘Write a letter to Santa’ writing sets includes a ‘Dear Santa’ writing page with ‘dotted thirds’ lines, and an envelope to cut out and fold, in both red and green. You can download the green ‘Write a Letter to Santa’ set here. And you can download the red ‘Write a letter to Santa’ set here. 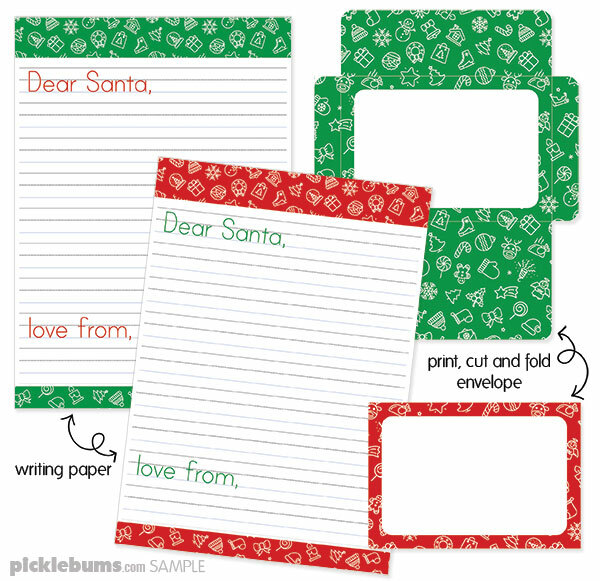 If you’d like some more fun letter writing options you can check out our new ‘Letters to Santa’ writing set in our shop. a page with regular lines. a greeting card to draw and write on. a postcard to draw and write on. It also includes a special bonus, with all files combined into a convenient one file download. 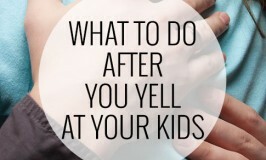 You can find it on sale in our shop for $1.99.